Ashen hues inspired by the shades of the seaside. 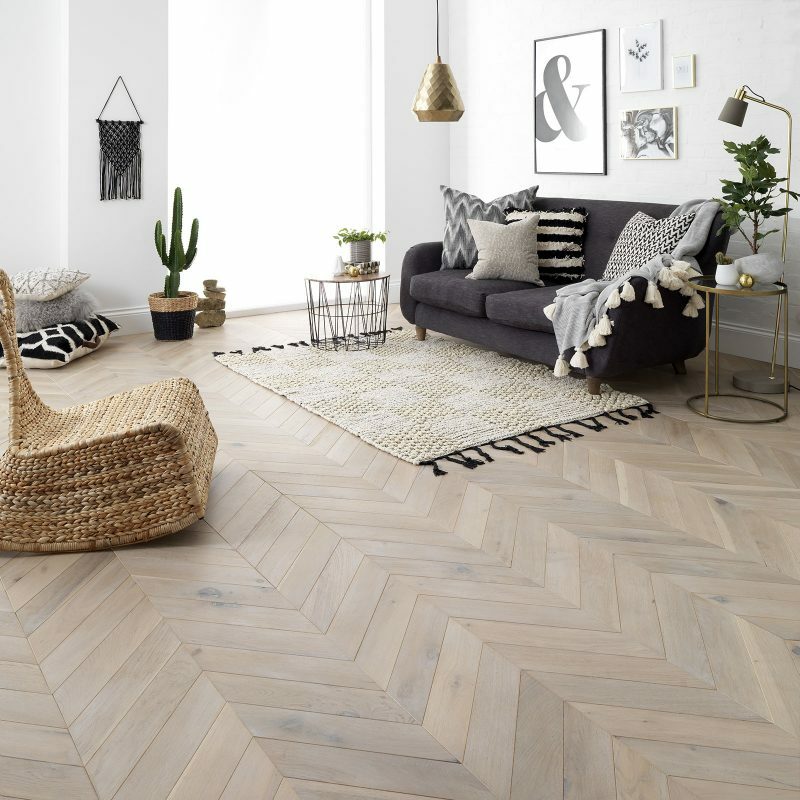 Elegant parquet floors with an enchanting period feel. 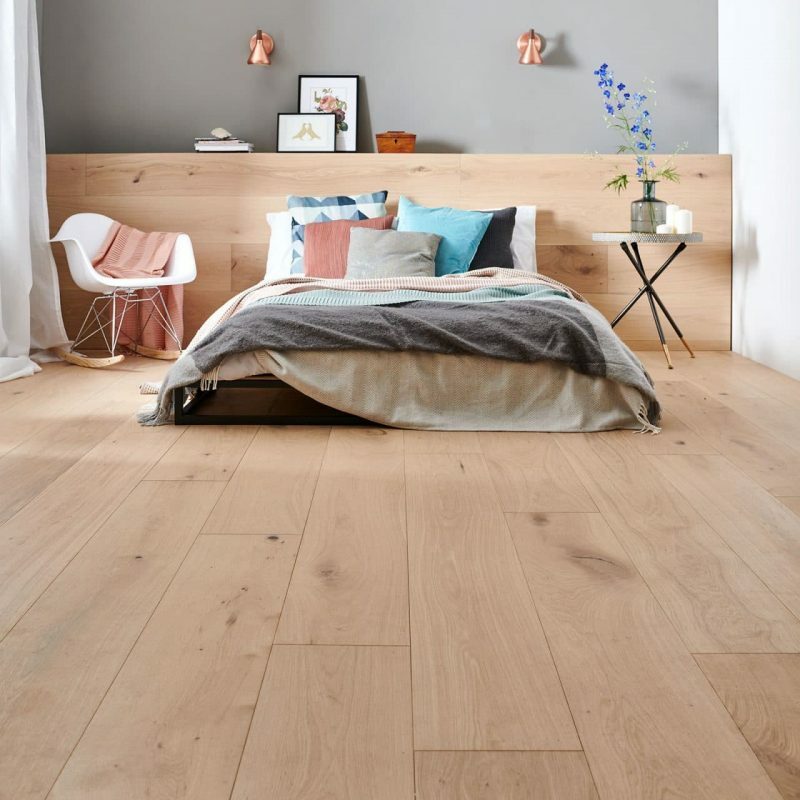 An exciting collection of oak floors for everyone. Aged and distressed designs with a lovingly handscraped texture. Faithful 21mm boards in Planed, Distressed and Sawn finishes. 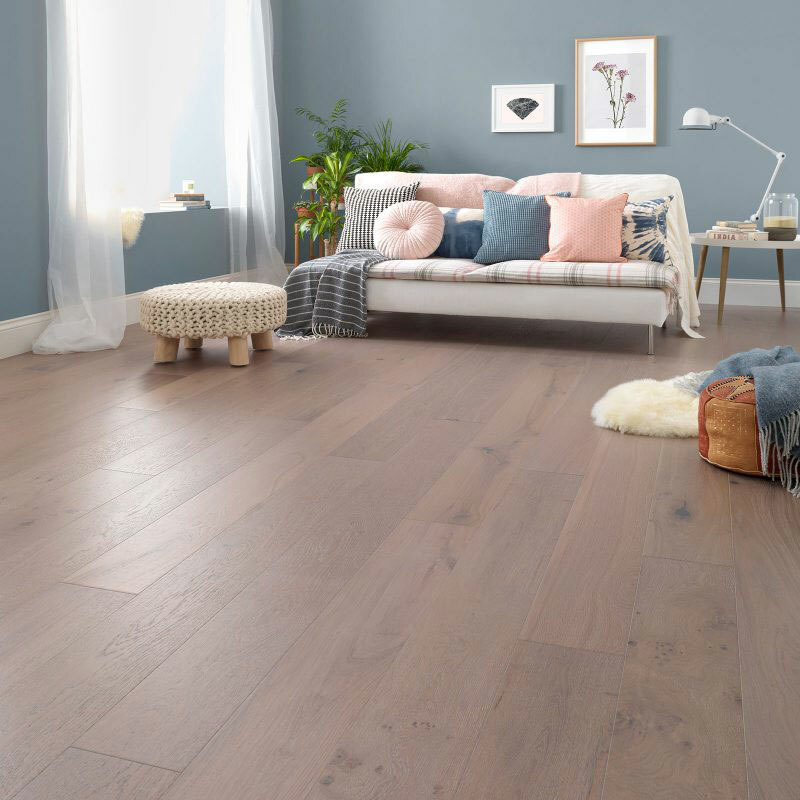 With central or underfloor heating, solid wood floors can easily dry out and become warped. They are susceptible to expansion and contraction too. 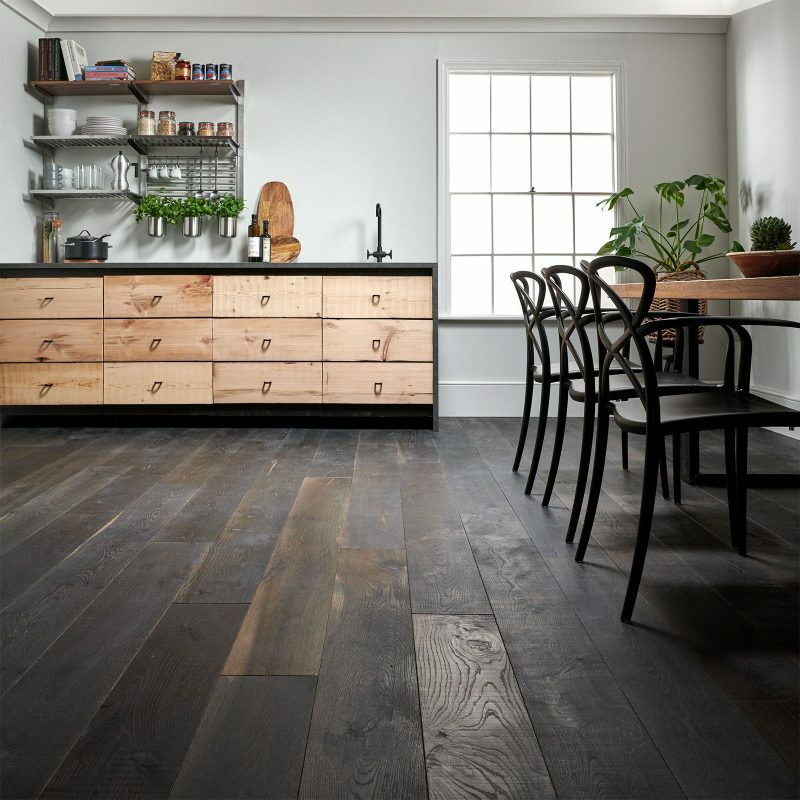 Engineered oak flooring is one of the wooden flooring types designed to overcome such problems. Our wood is still carefully selected from sustainable sources, but it’s cut and formed into three layers. The top layer provides the unique texture and strength of natural wood, a central core of softwood, high density fibreboard or plywood adds stability, and there’s a veneer underneath for balance. The resulting boards are gorgeous, and long lasting. An engineered construction with just a top layer of real wood also helps the tree to go further, extending the resources available while providing a more stable floor. Meanwhile, our passion for wood’s natural qualities drives the finishing process. 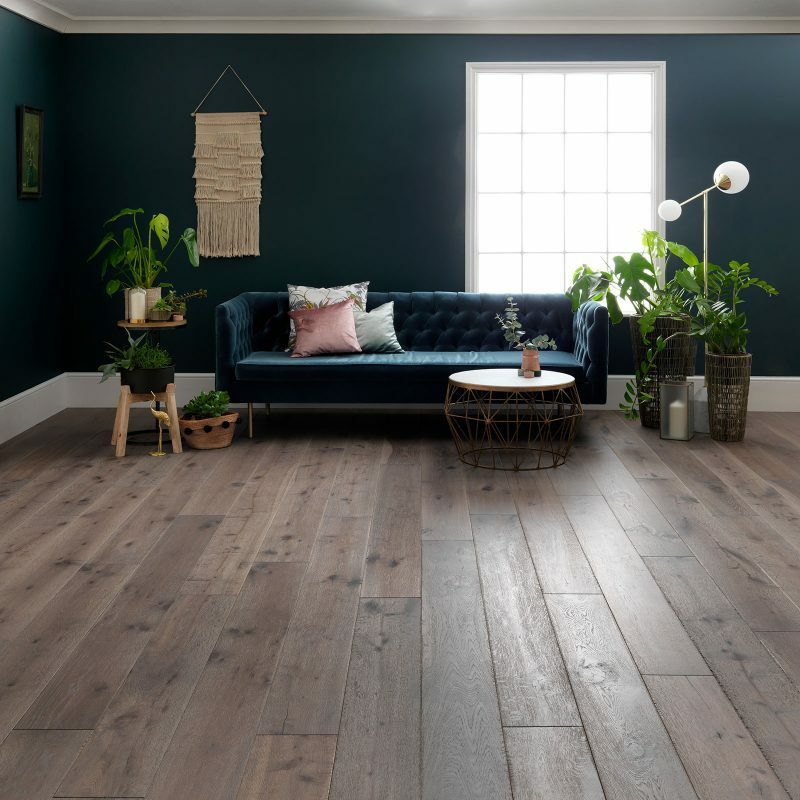 Our six ranges of engineered hardwood flooring each aim to capture a unique aspect of Britain’s natural environments while also reflecting our commitment to quality and affordability.